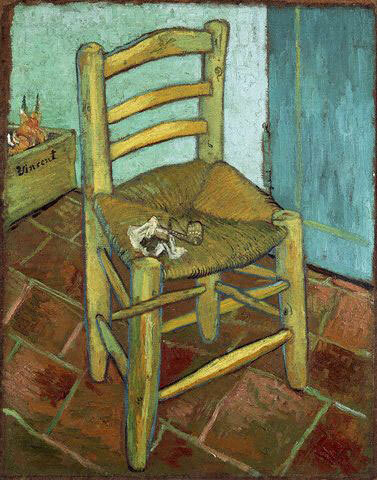 This image is not a photo, but also montage of chair by Vincent van Gogh, which was transformed into impossible figure. The title of the image is combination of names of two famous artists: Vincent van Gogh and M.C. Escher.